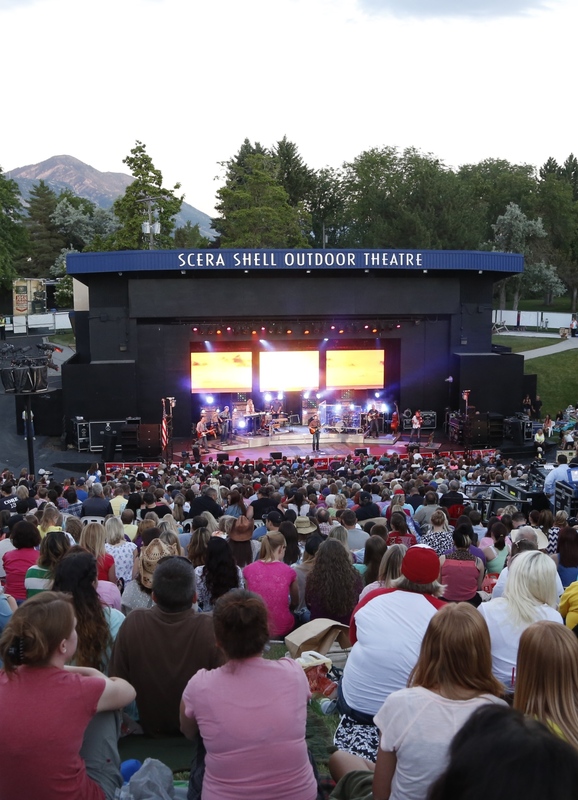 With the beautiful backdrop of the Wasatch Mountains, enjoy a summer season under the stars filled with grand-scale live theatre, nationally touring concerts, and big screen outdoor movies! The Shell is located at 600 South 400 East, Orem, Utah (in the middle of SCERA Park). The SCERA Shell Outdoor Theatre features festival seating on a grassy slope, with a designated general admission section for chairs and another just for blankets. There are also prime reserved areas in the center of the hill that come with a free lawn chair. SCERA was voted Best Live Music Venue, Best Live Theatre, Best Date Place, and Best Family Entertainment Venue in Utah Valley! NEW THIS YEAR! 2018 Season Ticket Holders may purchase season tickets beginning Monday, April 1, 2019 @ 10:00am. The general public may purchase season tickets beginning Monday, April 8, 2019 @ 10:00am. The season ticket includes three musicals and seven concerts, and may be purchased through June 7, 2019 or until seating is sold out. After June 7, you may purchase individual event tickets only. As an added bonus, season ticket holders receive six outdoor movies FREE.